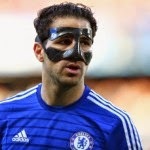 Arsenal hero Ray Parlour says Arsene Wenger was right to reject the chance to sign Cesc Fabregas. Fabregas could have been wearing Arsenal red once again had Wenger taken the option to re-sign his former midfielder last summer. “The way Fabregas left was not ideal and Wenger might have said, ‘why would I want a player like that who wanted to leave so badly?’ You have to look at the bigger picture,” Parlour told the London Evening Standard. “He is a quality player but it is also about how they leave the club. If he’d left in a good way, maybe they would have taken him back. Who knows? Meanwhile Chelsea boss Jose Mourinho says Cesc Fabregas chose them over a return to Arsenal so to win trophies. The Spanish international returned to London from Barcelona last year, opting for Stamford Bridge above the Emirates Stadium, where he was Arsene Wenger’s captain. “I know why he chose Chelsea,” Mourinho said. “I don’t know why he didn’t choose Arsenal. I only know what we promised him and what he promised us. “I can’t talk about why he left Arsenal, why he didn’t go back. I don’t know if it was his decision or the manager’s decision. We promised him a team built in the style to suit his play.